TWYLA THARP In 1965 Ms.Tharp formed Twyla Tharp Dance, creating 80 pieces including NINE SINATRA SONGS and IN THE UPPER ROOM. When TTD merged with American Ballet Theatre, she created over a dozen works. She also choreographed for Paris Opera Ballet, The Royal Ballet, NYC Ballet, Boston Ballet, Hubbard Street Dance, Martha Graham Company, American Ballet Theatre, Miami City Ballet, Pacific Northwest Ballet. Broadway: WHEN WE WERE VERY YOUNG, THE CATHERINE WHEEL with David Byrne ,SINGIN’ IN THE RAIN, and MOVIN’ OUT with score by Billy Joel winning Ms. Tharp a Tony Award, Astaire Award, Drama League Award for Sustained Achievement in Musical Theatre, Drama Desk Award and Outer Critics Circle Award for Outstanding Choreography. Film: Collaboration with Milos Forman on HAIR, RAGTIME and AMADEUS ; Taylor Hackford on WHITE NIGHTS and James Brooks on I’LL DO ANYTHING. 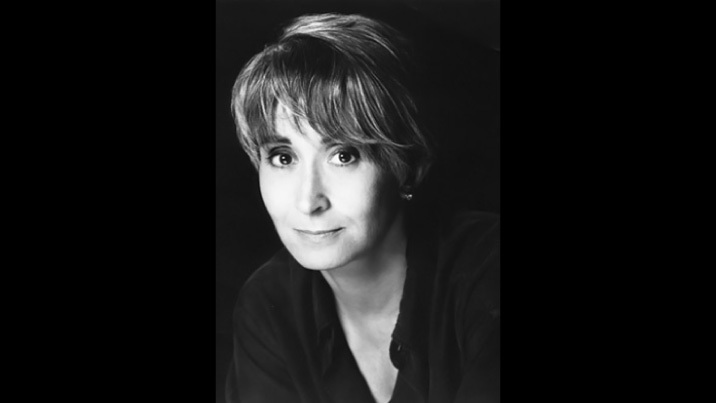 Television: SUE’S LEG for PBS’ DANCE IN AMERICA; co-produced/directed MAKING TELEVISION DANCE, winner of the Chicago International Film Festival Award; directed THE CATHERINE WHEEL for BBC-TV; co-directed BARYSHNIKOV BY THARP, winning 2 Emmy Awards and the Director’s Guild of America Award for Outstanding Director Achievement. Books: PUSH COMES TO SHOVE and THE CREATIVE HABIT: LEARN IT AND USE IT FOR LIFE . Ms. Tharp has received 19 honorary doctorates, the Vietnam Veterans of America President’s Award, the 2004 National Medal of Arts, the Jerome Robbins Prize, The Kennedy Center Honors and numerous grants including the John D. and Catherine T. MacArthur Fellowship. She is a member of the American Academy of Arts and Sciences and an Honorary Member of the American Academy of Arts and Letters. She continues to create, write and lecture.